Senators significantly narrowed a proposal April 5 that would codify the use of electronic poll books in Nebraska. 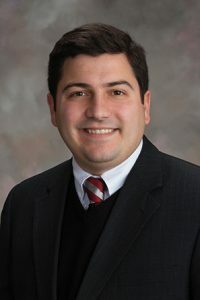 LB1065, introduced by Gretna Sen. John Murante, would authorize the use of electronic poll books in each precinct in the state. As introduced, the bill would require EPBs to contain a list of registered voters and the sign-in register for the precinct in one database that would include voter information, a digital image and the digital signature for each registered voter in the precinct. Murante said the change to an electronic version of the voter rolls has decreased the time it takes for citizens to vote by as much as 25 percent in states that have adopted the technology. Most forms of election technology must be certified by the secretary of state’s office, he said, and there currently is nothing in Nebraska law to allow counties or election commissioners to use EPBs. 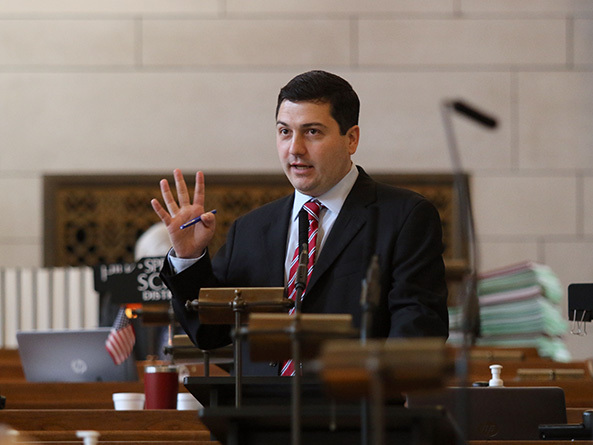 “LB1065 is, in my mind, the first step on what will undoubtedly be a long journey in updating and modernizing Nebraska’s election technology,” Murante said. Under the bill as introduced, a person whose identity is questioned due to his or her digital image in an electronic poll book could cast a provisional ballot. The individual would be required to appear before the election commissioner or county clerk within seven days after election day and have his or her identity confirmed. Lincoln Sen. Adam Morfeld opposed the bill. While agreeing on the need to modernize Nebraska’s election technology, he said the inclusion of digital images—and the ability for poll workers to challenge a voter based on those images—was problematic. A driver license photo is valid for 10 years, he said, and an individual’s appearance can change dramatically over a decade. “I believe that it raises Fourteenth Amendment concerns along with a host of other concerns in some of those subjective judgements that we’d be putting [poll workers] in the position of making,” he said. In addition, Morfeld said, many voters would have difficulty appearing in person within the bill’s time frame to provide proof of their identity if they were challenged on election day and voted provisionally. Election offices are open only during regular business hours and transportation would be a challenge for those who rely on public transportation or live in rural areas, he said. Bellevue Sen. Sue Crawford agreed, saying the bill would add restrictions on voting instead of making elections cheaper and easier to conduct. A better focus would be updating computers and voting systems to ensure the integrity of elections, she said. “We need to invest in making it easier to vote, making it less expensive for counties, making our systems more secure and updating our computers that need to be updated—that’s where we need to focus our emphasis on making sure that we’re using technology to make our elections more effective,” Crawford said. Murante said he was willing to work between general and select file to find a pathway forward on the bill. He offered an amendment to a pending Government, Military and Veterans Affairs Committee amendment, adopted 31-0, that removed all but the provision authorizing the use of EPBs with digital signatures included. Senators then adopted the committee amendment 36-0 and advanced the bill to select file 39-0.